Keeping Fido looking his best is a priority for many dog parents. Our previous post elaborated on how to find a good dog groomer, but didn’t say why we need a dog groomer. If you are more of a do-it-yourselfer when it comes to your pup’s coat and nail maintenance, or you are just not sure about sending your pup to a professional dog groomer, continue reading to learn why you might want to give it a try. You know and love your dog a lot. 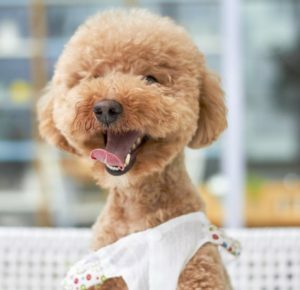 However, a dog groomer not only knows and loves dogs but also understands everything there is to know about dog fur and how to take care of it. Dogs of all shapes and sizes have probably walked through your groomer’s door. Trust that they have the experience required to properly care for your dog’s fur. Just like a human hair salon, a professional groomer has access to high quality products. They will have a variety of shampoos and conditioners formulated especially for dogs. Your groomer should be able to determine which product will benefit your pet most, based on their hair and skin type. They will also be able to suggest products that you can purchase at home. Don’t be afraid to ask for recommendations. One product many dog parents are turning to in an effort to maintain a shiny and healthy coat in their dog is NuVet Plus. To see what they have to say, visit NuVet Labs Facebook page. A common issue that dog parents face is trimming their dog’s nails. Energetic dogs, coupled with lack of grooming experience and improper nail trimming equipment, can lead to the headache that is cutting a dog’s nails. Injury to dogs and owner alike are not that uncommon. By allowing a trusted groomer to take over, you save yourself the headache and can relax knowing the job is being done properly. A major bonus of taking your dog to a professional is the equipment your groomer has access to. Proper equipment helps make the grooming process more streamlined. Special clippers, tubs and other equipment are all designed with the safety and well being of dogs in mind. As a result, you can prevent some of the safety issues, such as slipping in the tub, that a typical bathroom can pose for your dog. One of the greatest benefits for visiting the groomer is witnessing how great your dog looks and feels. In addition to a great new haircut, your pup may receive a massage that can help loosen any tense muscles, as well as de-stress your dog. Your groomer will also be able to provide you with hair care tips to help keep Fido looking his best. Another great way to help support a healthy and shiny skin and coat for your dog is to provide him with NuVet Plus for dogs, which is trusted by dog parents and pet professionals everywhere. During the grooming process, your groomer will be on the lookout for any strange skin issues, which they can alert you to. Your groomer will also be able to notice if your pup has any ticks or fleas. Since your groomer only sees Fido occasionally, they can provide an unbiased set of eyes that may be helpful. Fortunately for pet parents, there are individuals who have devoted a large part of their lives to pet care. Don’t hesitate to take advantage of dog care experts, such as groomers, in your neighborhood. Just like grooming, good nutrition is also important, which is why we created NuVet Plus canine formula. Formulated with a dog’s special needs in mind, you can feel confident in providing your pooch with this human-grade nutritional supplement.